Whether you choose to island hop or spend your Tahiti vacation on one island, you’ll discover countless attractions and sightseeing activities. Snorkel with exotic marine life in the Bora Bora Lagoonarium. On Moorea, swim with dolphins or explore the island on a safari tour. And on Tahiti, go on a hiking adventure through lush vegetation and waterfalls or tour Tahiti by helicopter. There are many options to choose from and reserve prior to your arrival. 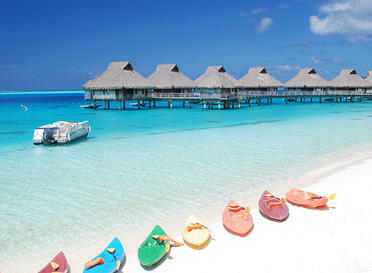 The following are the most popular things to do in Bora Bora or Moorea. Most if not all of these activities can be pre booked. We look forward to hearing from you. Please feel free to call Remarkable Honeymoons at 1.866.614.1803 or fill out a quotation request. We look forward to hearing from you!